The silos project is part of the UAE’s $4.9 billion aid package announced in October. The United Arab Emirates and Egypt have awarded contracts to build two wheat silos in northern Egypt as part of an assistance package financed by the UAE, and more deals are expected soon, a UAE state minister told a newspaper on Monday. The UAE is one of the main financial supporters of the army-backed government in Egypt and has showered the north African country with cash and petroleum products since the military ousted elected Islamist president Mohammed Mursi. 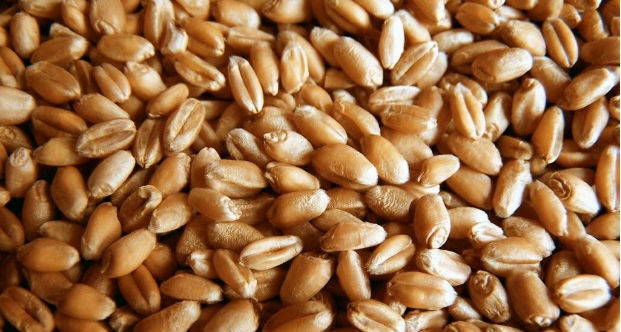 Along with money to build clinics, schools and housing, the Gulf Arab state has offered to fund a project in Egypt’s strategic wheat sector – the construction of 25 wheat silos that could help the world’s biggest wheat importer lower its huge food bill. “Contracts to build two wheat silos in Amiriya and Damietta have been awarded and it is expected that contracts to build more silos that are financed by the UAE will be awarded soon,” minister Sultan al-Jaber told UAE local daily al-Khaleej. The total storage capacity for the 25 silos will be 1.5 million tonnes, added Jaber, the UAE official in charge of aid to Egypt. A source in the minister’s office confirmed the comments made to the paper and said any deals are awarded according to an agreement by both the UAE and Egypt. Bread is a politically-explosive issue in Egypt – failure to supply it at an affordable price has triggered major riots in the past and the government wants to boost its storage capacity to reduce its reliance on international markets. The silos project is part of the UAE’s $4.9 billion aid package announced in October. The government says the silos project should help prevent the loss of 1.6 million tonnes – around half a billion dollars worth – of wheat a year. Egypt’s struggling economy has yet to recover from the popular uprising that ousted Hosni Mubarak in 2011. Intermittent violence and political instability over the past three years have scared off foreign tourists and investors. The UAE has welcomed the rise of former army chief Abdel Fattah al-Sisi, the frontrunner in Egypt’s presidential election. Jaber said on Saturday the UAE will continue its political and economic support for Egypt after the vote, which starts on Monday. Compared to other major donors Saudi Arabia and Kuwait, the UAE has taken a more hands-on approach in its support for Cairo. The minister said the UAE had a plan to revive Egypt’s economy and put it back on track.